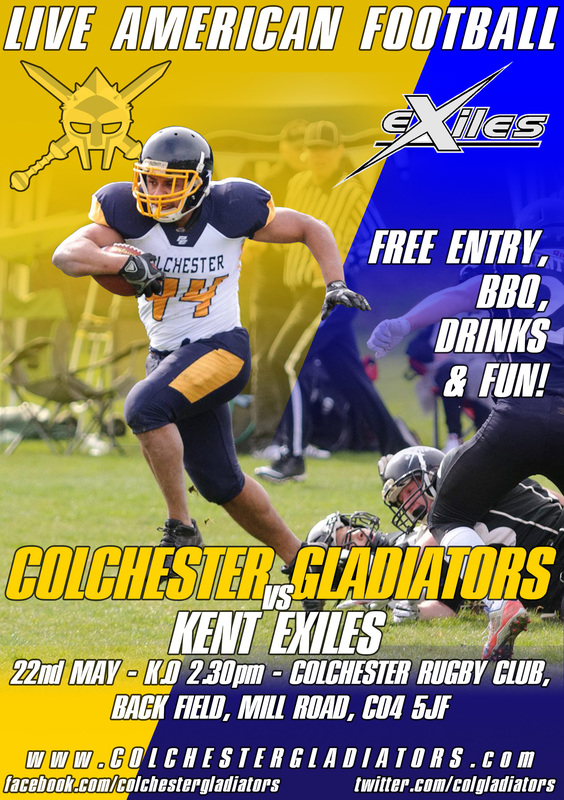 The Colchester Gladiators’ early season struggles continued in this rematch against the high flying Kent Exiles, in a game that highlighted their lack of depth. Running backs Andy Cairns and Eddie Collison, cornerback Jim Gilchrist, and wide receivers Vic Williams and George Louch were all sidelined after sustaining injuries from last week’s game, adding to an ever increasing injury list. The Colchester Gladiators are delighted to announce the newest addition to their organisation, bringing former NFL star Ross Tucker on board as Honorary President for the club. The club are excited to integrate Ross into the family, and have already talked about what benefits his background and expertise might bring to the Club moving forward.